Thirsty Pilgrim: Damme the Children. I meant to post this Damme beer festival thing a couple of weeks ago, but sadly it got lost in this stack of toddler birthday party invitations. I mean, what the hell, you tell me: Do two-year-olds really have friends? Four-year-olds, maybe. But not two-year-olds. Speaking of four-year-olds: That's the age of the Dams Bier Festival, scheduled this year for October 2. The club that organizes this one is called 'TONafhankelijk Biergen(o)otschap, which has way too many consonants, capital letters, and puncuation marks, but it's not like anyone is going to ask you to pronounce it. You just hand over your beer-token money to the nice fellows and say, "Dank u wel." Damme is just outside of Bruges. This year's event is attracting some pretty interesting breweries from the vicinity and beyond: Kerkom, Légendes (a.k.a. Ellezelloise and Géants), Senne, Struise and Viven are among the beer-peddlers. Viven I remember clearly from the Bruges festival a couple of years ago, thanks to an American-style Imperial IPA. Maybe not the style I would imitate, but frankly it's refreshing to see new beer companies making something besides the same old sweet blonds and bruins. Incidentally, the firm appears to still be brewing its recipes at Proef. I guess Viven is about two years old, if we count Bruges as its debut. It does appear to have friends. I wonder when it will get the keys to a brewery of its own? 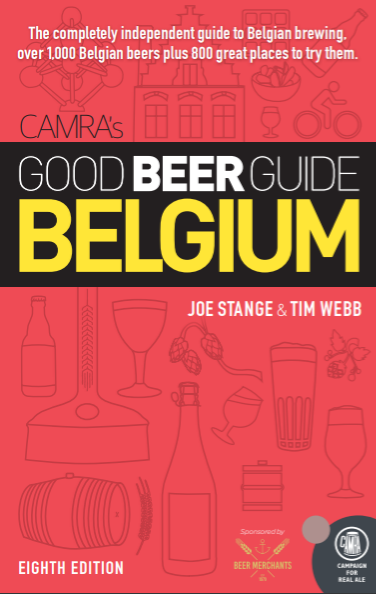 I've walked the 4 miles from Brugge to Damme along the canal a few times, often as a means of attempting to get rid of a hangover. I did it once a few years back in 90 degree heat in anticipation of something special in the Oude Speye only to find that the beer list had dropped from 100+ to 20 of the usual suspects. The Viven IPA is pretty impressive IMO. Two weeks to go and I'll be in Brussels! 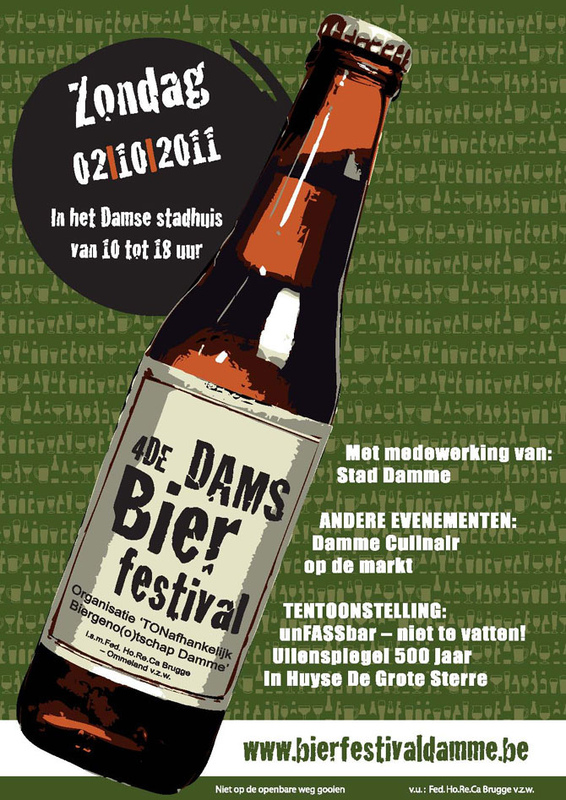 You remind me that I wrote a post about Damme and yet wrote almost nothing about Damme. Yes, nice place. Ride a bike or take a boat or walk off your hangover along the canal to get there. Maybe I should finally do that myself one of these days. And Birk, thanks for using Fahrenheit. We use centigrade when it's cold e.g. '-2 degrees overnight' and farenheit when hot as I did. Nice article. Last fall, while with a beer tour group in Bruges, my son and I took the tour group leader's advice and rode rental bikes out to Damme for an afternoon. We both agree that it is one of those days we will remember for the rest of our lives! Enjoyed some great company, a few rounds of Viven Blond and Bruin in one cafe, and some Pater Van Damme in another, a really fine little local brew! We rode back to Bruges in the rain and had a fine meal at Den Dyver. A Damme great day! Thanks to Stu and BBM!